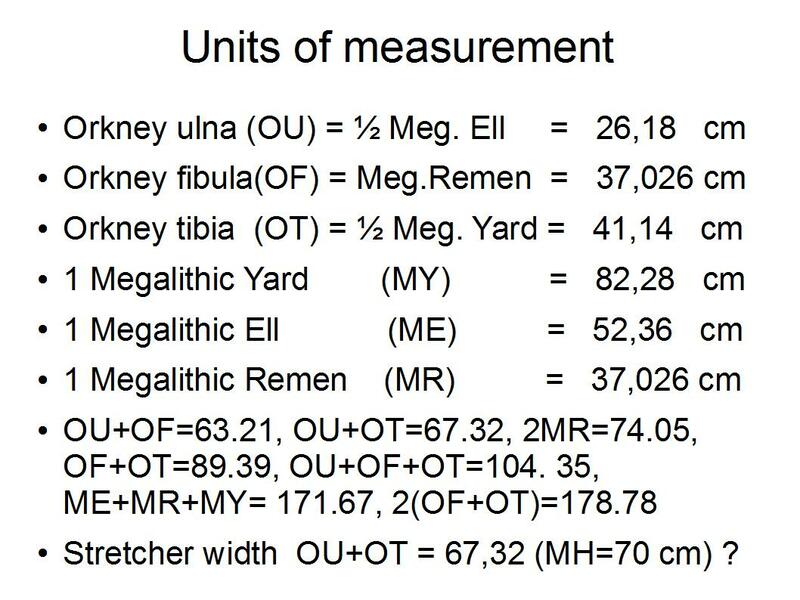 The units are the following, respectively: Megalithic Ell (ME), -Remen (MR), -Yard (MY), -Foot (MF), these are all based on human bone lengths of the average Neolithic skeleton, the Ell on 2 male ulna (fore-arm), here called Orkney Ulna (OU), the Remen on 1 female fibula (calf) (OF), the Yard on 2 male tibia (shin) (OT), the Foot on 1 female humerus (upper-arm) (OH). 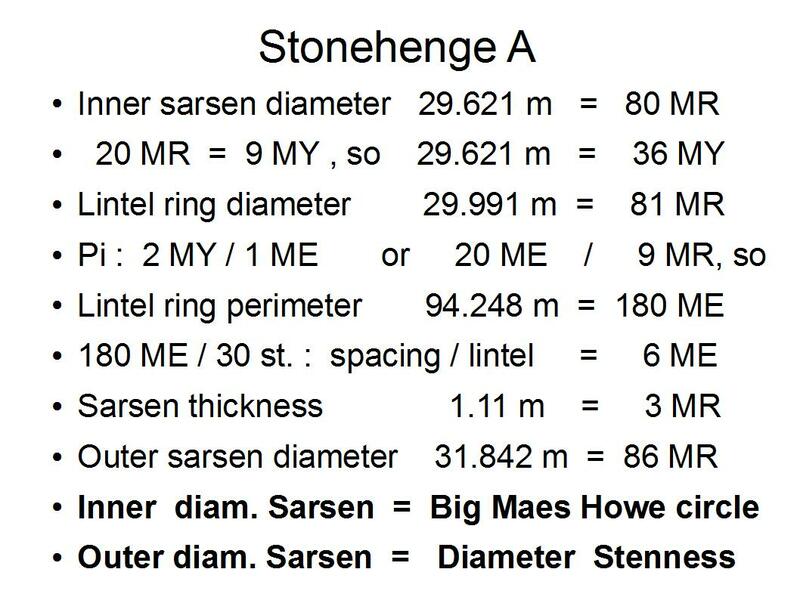 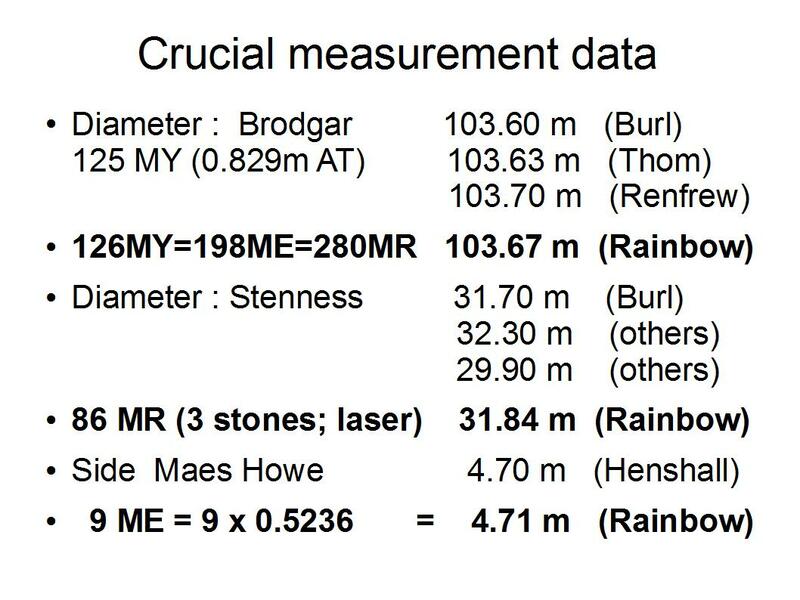 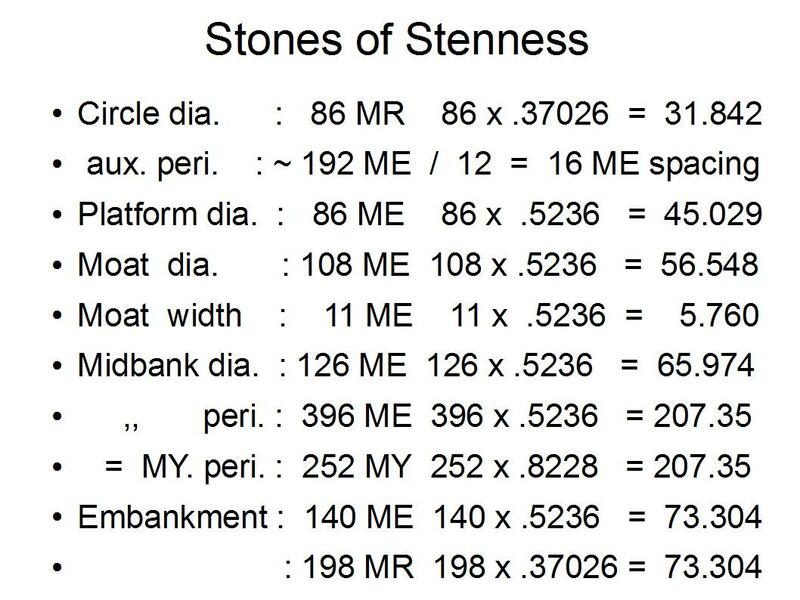 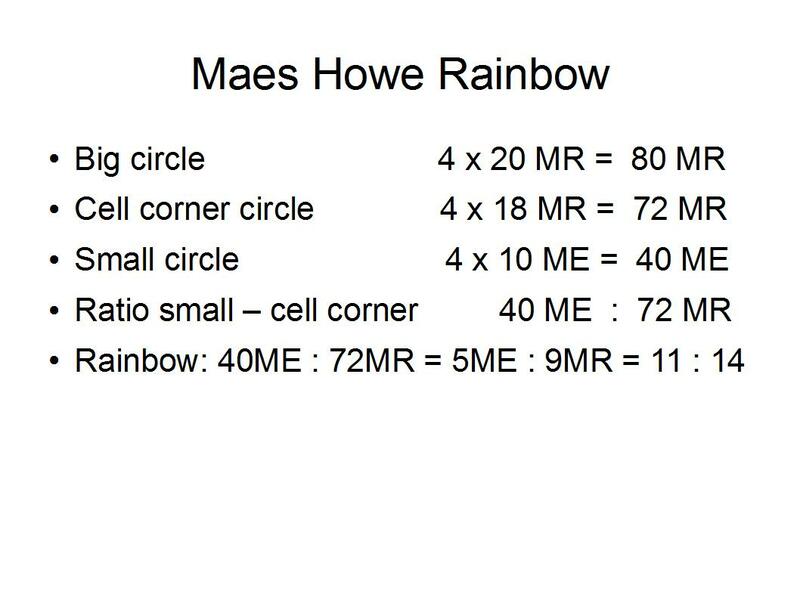 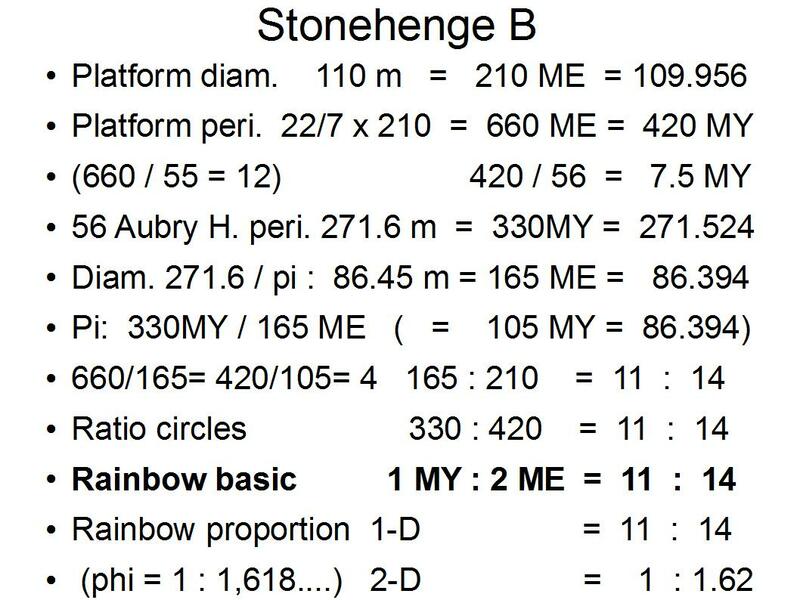 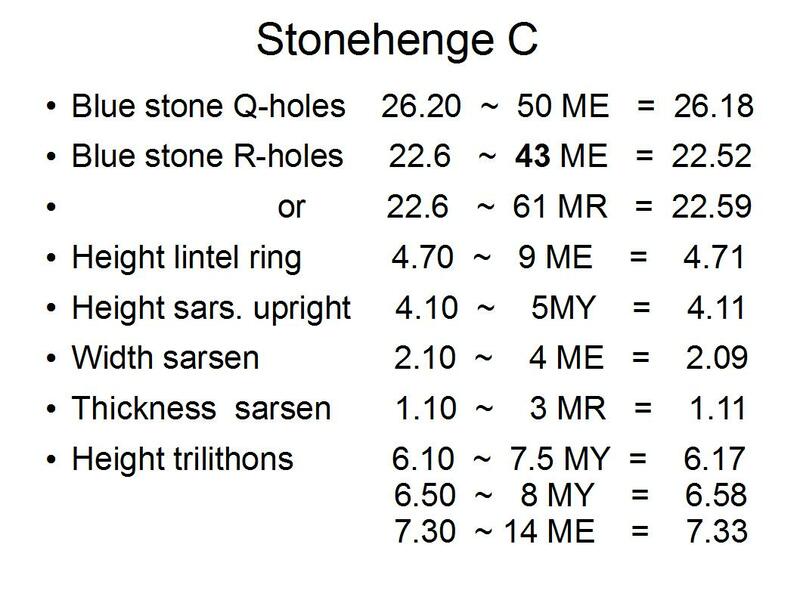 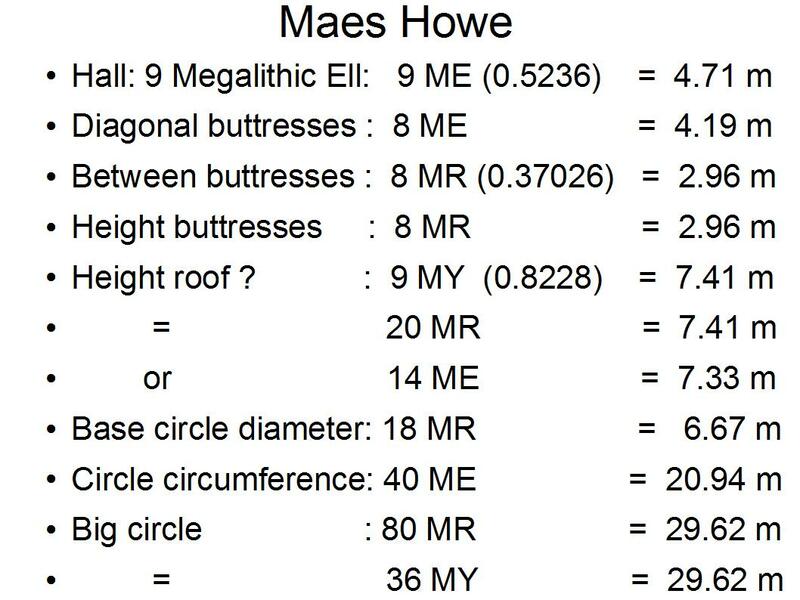 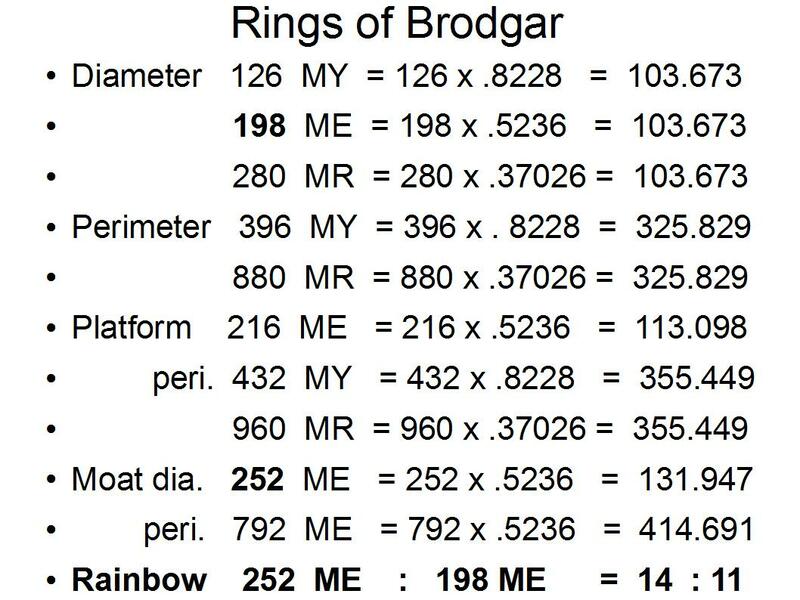 The practical explanation and applications of these numbers are given elsewhere (The Neolithic Numbers explained). 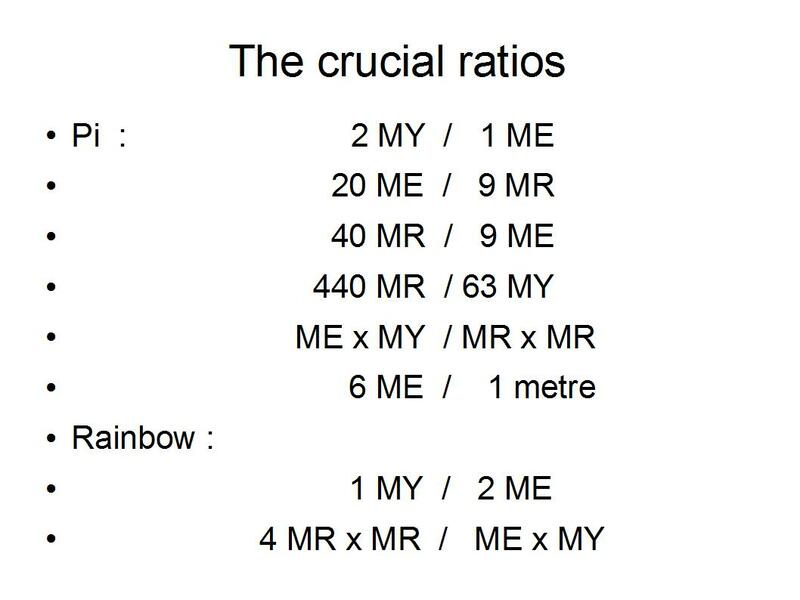 This ordering is to show the recurrence of the same numbers and ratios in all the different buildings.